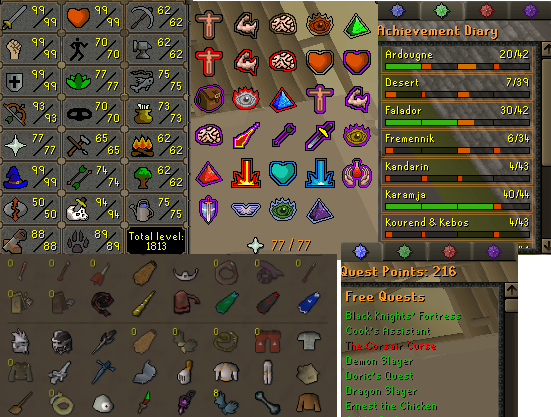 OSRS account combat level 120 with 92 attack, 99 strength, 97 defense, 92 ranged, 76 prayer, 86 magic, 82 slayer, total level 1879, quest points 205 with RFD, Lunar, DT,MM done. 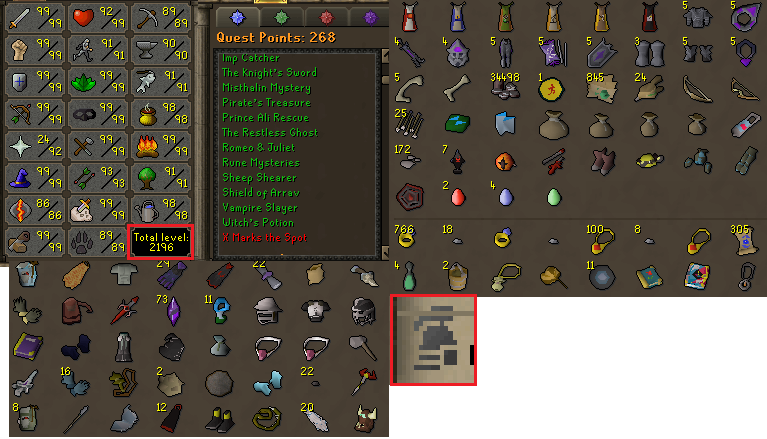 come with Barrows Gloves, Full Prospectors, Coal Bag, Slayer Helm i, Fire cape, Rune Pouch, Full Elite Void, All God Books, Salve Amulet ie, 2 Dragon Deffenders, Full Rogues outfit, Xerac's Tallisman, Full Gracefull, Eternal Slay. around 30M values in bank.